Last week when my kids were back from school they told me they were hungry and felt like having some quick filling snack. I asked then whether they want 2 mins noodle. They told me with all the recent saga they don't prefer to have that. So I Was thinking about doing quick Pasta recipe for them. Later thought about this recipe. 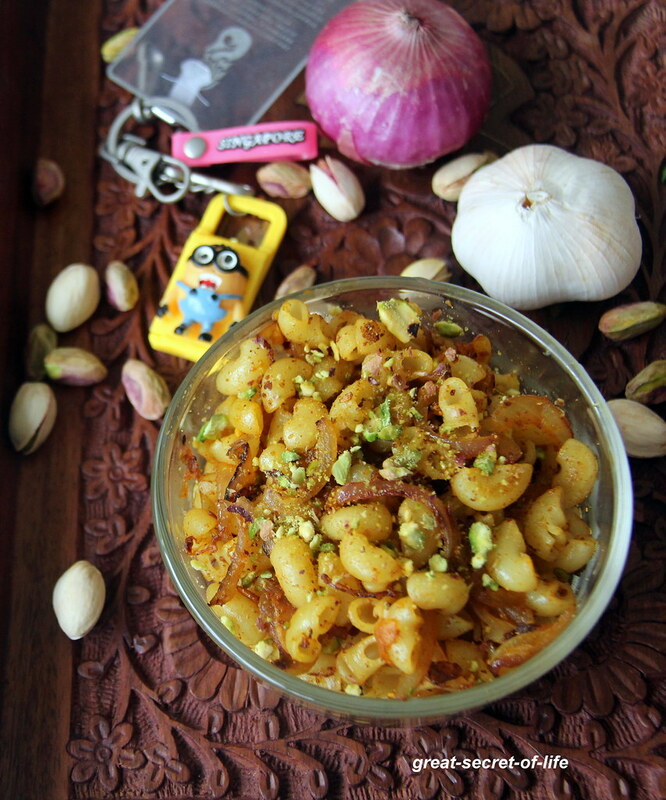 It is so quick and still a flavourful dish for your hungry kids. 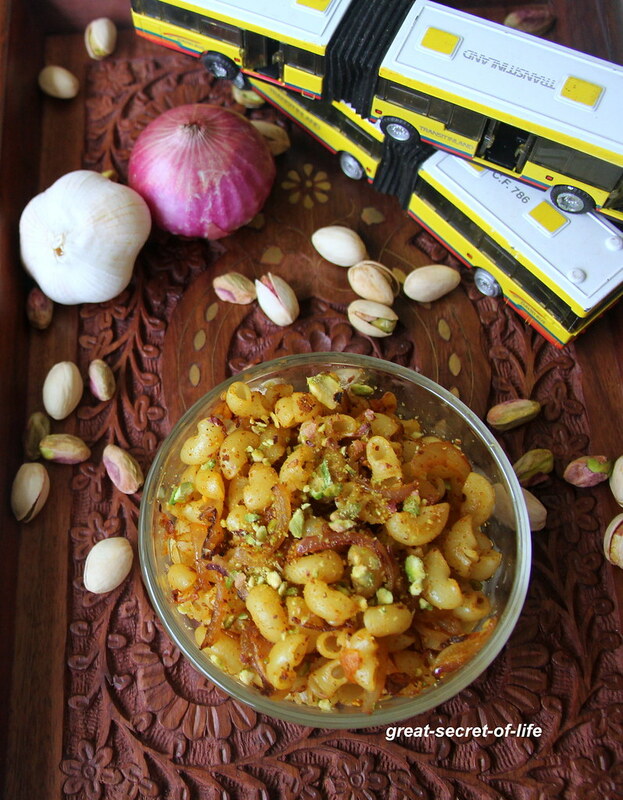 This can be good dish to entertain the kids during this festive season. Cook the pasta per instruction. Keep it aside. Heat the pan and add oil. Once hot add garlic and fry till brown in color. Add onion fry till transparent. Add Cooked pasta and mix well. Now add pistachio and mixed well. Simple recipe for preparing delicious pasta! Looks wonderful! 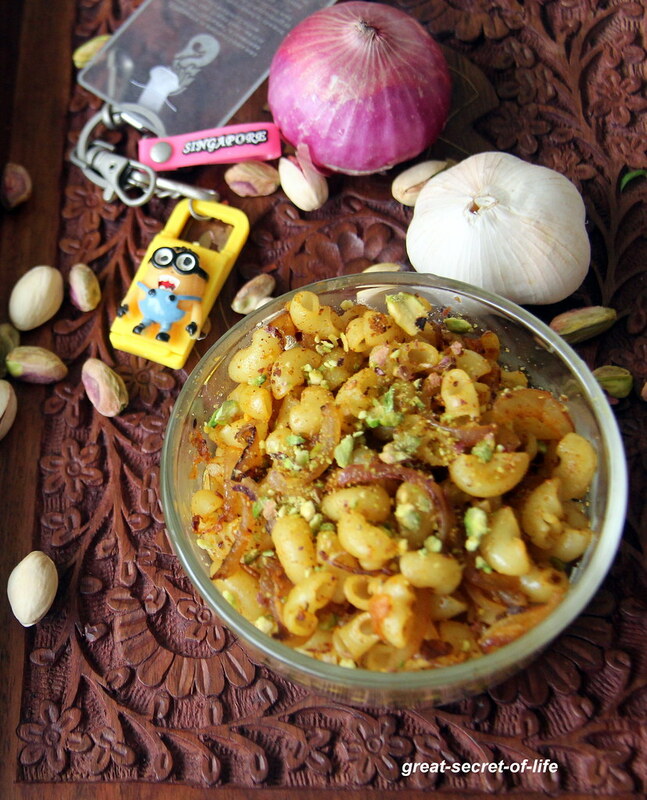 Love the addition of pistachios! looks very tempting!! Awesome clicks! !